WASHINGTON (AP) — Now that Democrats have captured control of the House for the next two years, the party’s most senior members are poised to regain the wide-ranging power of committee chairmanships. Peterson, 74, is a moderate from a heavily rural congressional district in western Minnesota. He is a strong critic of Trump’s trade policies and could use his platform to highlight how farmers have been harmed by retaliatory tariffs from China and other nations. His top priority now is to get a farm bill passed, if not in the current Congress, then in the next one. Peterson will also have the committee take a close look at the reorganization underway at the Agriculture Department, including the push to move its top independent research office out of Washington. Engel, 71, who represents parts of the Bronx and New York City’s northern suburbs, has been a consistent critic of the president’s foreign policy. He has told colleagues that one of his top priorities will be to investigate where the Trump administration’s foreign-policy actions are intertwined with the president’s business interests. Protecting the State Department is also a priority for him, including looking into whether career officials have been “purged” because they were deemed insufficiently loyal to the president. The committee has jurisdiction over trade, and Neal said he expects Trump’s trade deal with Mexico and Canada to come before his committee soon. The panel is also expected to seek Trump’s tax returns from the IRS, likely triggering a court fight. Pallone, 67, hails from north-central New Jersey and was a key player when a Democratic-led Congress passed President Barack Obama’s health care law. Pallone said he’ll focus on putting forward legislation to protect that law and on lowering the cost of prescription drugs. He’ll likely revisit legislation he has sponsored that would, among other things, restore marketing and outreach efforts to get more people enrolled in health insurance coverage and increase subsidies for poor and middle-income Americans. DeFazio, 71, has hopes of working with the Trump administration on infrastructure legislation to generate jobs and repair roads, bridges and airports. He said he wants to work fast, before the 2020 presidential election process kicks in and makes it harder for anything substantial to get done. The obvious barrier is finding the money, at a time when the national deficit is already exploding. DeFazio, who represents Oregon’s southern coastal counties, has put a tiny uptick in gasoline and diesel taxes on the table, but that’s a tough sell with lawmakers. The committee also has jurisdiction over the General Services Administration, the agency that manages real estate for the federal government, including the lease for the Trump Hotel in Washington. Democrats have sought information about the hotel’s profitability and whether Trump is using the office of the presidency for private gain. Smith, 53, says his top national security priority for the next Congress is oversight of the president, from “the politicization of the military, to his mismanagement of disaster response, to the lack of a consistent policy concerning civilian casualties, to his policies on Russia, and more.” He said the panel needs to conduct aggressive oversight of the Pentagon’s budget and weapons programs to ensure taxpayers are getting the best value. The Democrat from Washington state, who represents the central Puget Sound area, also said it’s also important to safeguard “an inclusive military” by eliminating discriminatory barriers. Thompson, 70, of Mississippi, will lead aggressive oversight of actions that the administration has taken on immigration, including its “zero tolerance” policy of prosecuting all adults caught crossing the border illegally and putting their children under the care of the Department of Health and Human Services. The committee will also examine the administration’s response to Hurricane Maria, which devastated Puerto Rico, incidents of domestic terrorism by U.S. citizens and what can be done to ensure election security. He represents the western and central parts of Mississippi. Grijalva, 70, will likely lead a committee that has oversight over national parks and other public lands. The Arizona Democrat has pushed back against the Trump administration’s efforts to expand mining and drilling on federal lands. He’ll conduct oversight into the environmental toll of the administration’s actions. He’ll also emphasize stronger consultation with federal tribes before energy projects are approved. Tribes have complained that the Trump administration moved forward with the Keystone XL pipeline without adequate consultation and analysis of the potential impact on tribal lands. Grijalva’s southwest Arizona district includes parts of Tucson. McGovern, 58, will likely lead a panel that determines what bills are debated on the floor and what amendments are allowed to be voted on. 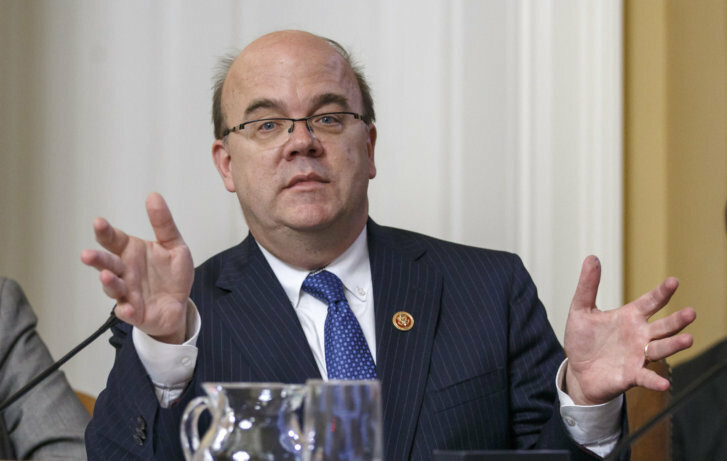 McGovern has been critical of Republicans for blocking votes on amendments with broad public support, but it’s unclear how far Democrats will go in reversing those practices. Pelosi has tasked McGovern, who represents central Massachusetts, with coming up with a package of rules governing the chamber, and it’s expected to include a ban on House members sitting on corporate boards.